Leiserowitz, A., Maibach, E., Roser-Renouf, C., Rosenthal, S., & Cutler, M. (2017). 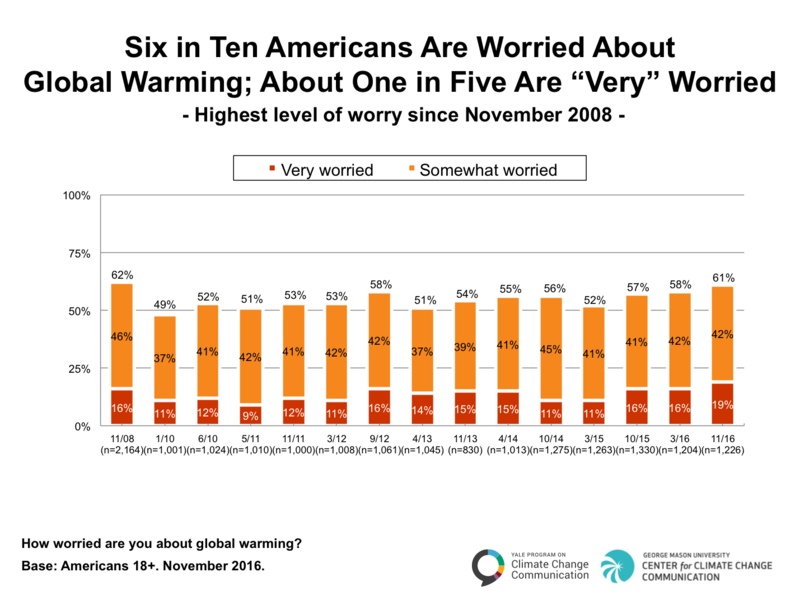 Climate change in the American mind: November 2016. Yale University and George Mason University. New Haven, CT: Yale Program on Climate Change Communication.